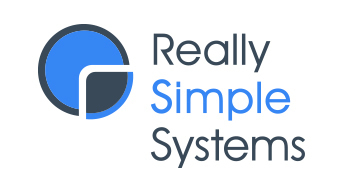 Really Simple Systems is a Cloud CRM SaaS for customer relationship management. Includes email sync, reporting, task mgt, sales tracking and email marketing. Work for Really Simple Systems? "CRM with module integration and that facilitates business management"
The way in which you can divide and manage the permissions for different teams of the company is very good. Permissions can be granted depending on which customer records you want each team to see and which sections are the ones that each worker can attend or modify. The integration of email within the platform is very efficient. It makes the efforts through this means of communication are simplified and you can control and modify the different emails easily. The design of fields allows you to add features and sections within the system as you need it. That possibility of adding new sections is something that helps any business. I would add more integrations with other applications and software to generate a greater global connection between different applications and thus make the work more efficient. It took me a while to import certain data at the beginning inside the platform, but finally that problem was solved. This CRM allows to implement modules, better manage sections such as marketing or sales and have a record of communications and actions taken with customers. The marketing module has allowed us to improve sales management. It makes it easier for us to perform tasks that used to be more tedious, which reduces the time lost in those jobs. The section of activities and the management of the electronic mail through Really Simple Systems allow us to know the details of the contacts with the clients and the actions carried out. This has helped us a lot in the sales section, since it allows us to know better any communication about a product, about information, all that follow-up helps us to serve customers more fully and to know the details better. "Excellent UK based GDPR compliant CRM solution"
Simple to use on any device including my laptop, iPad or iPhone and a an excellent web based solution with pricing based on a SaaS annual billing basis per user and by module, if required. As with all software applications there are some things that are not perfect such as the new beta data import capabilities, but the support is excellent helping me from data import, accidental deletion of one of marketing campaigns, so any identified problems are quickly dealt with or new functionality goes into the product road-map. 1. Centralised CRM data resource accessible on any device that I need to use depending on my location and environment. 2. Integrated marketing module gives an excellent dashboard view of my email campaigns as well included reports and simple dashboard widgets to give me very useful data views. 3. Simple and easy to use as its name suggests. 4. All my disparate data over the last 20 years brought into a single application backed up with CRM tasks, opportunity management, sales pipeline view and the ability to manage everything I need in 1 single place. "It truly is a "Really Simple System""
I have worked with many CRM systems in the past and this one "Hands Down" is the best by a long way. Some I have used in the past try to work too hard. You can tell its been designed by salespeople, for salespeople. GDPR was a main point & the CRM helps us to be compliant and much less fragmented. Also, it has helped focus the sales team with call numbers and opportunity targets and create that bit of friendly competition that all sales teams need to succeed. But for me from a marketing point of view its all about the data, and accurate, clean data. Being able to be targeted in our sales approach has been fantastic. Ability to access my contacts information on the fly. Ability to look at my pipeline an see what I need to follow up on and close. I like that I can see how much money I bring into my company on a Quarterly basis. Unable to customize reports. Sales funnel is not too accurate. I have tried to pull reports but can't seem to find out how I can. I've reached out to the team about the reports and have not heard back. I wish I knew how I cold make custom reports and trend how much I close on a monthly basis instead of just quarterly. For some reason, my actual numbers differ from the numbers shown on the Really Simple Solutions. For example; my forecast for this year is at nearly $3 million dollars. Really Simple Solutions shows less then $1 million. I'm not too familiar with this software and that is most likely the reason I am having difficulties. I wish there was a go to link for help with training videos. I'd like to be a part of the webinars, however, my schedule does not allow it. Any help with this would be greatly appreciate it. This is a great CRM for a small or a start up company. I can view my pipeline and follow up with business I need to close. I can't always pull up my computer, especially while driving to get customer information. Being able to do so on the phone makes it so much easier. How easy it is to set up the system. There are a ton of instructional videos to help get started as well. Once set up, it is very easy to navigate throughout the system. I am also an admin and it is very easy to customize the system. The quality of support is incredible. I emailed for help on an admin issue and I got a response within 15 minutes. Nothing so far. The support hub is very helpful so any questions I have are easily answered. Definitely use it! If you ever need help getting started, the IT support is super responsive and helps out immediately. Keeping track of all prospects, customers, and clients. Benefits include a way to report data on the customers and clients we have as well as send out marketing campaigns to easily reach out. "Does what it says on the tin....Really Simple System"
Helps me remain focused on what needs doing across existing business and looking for new business. The intuitive interface and the fabulous support team. Integrating a new CRM for our business was daunting - especially as we are an agency, therefore our model didn't sit well with the large and complex CRMs which are focusing on sales funnels and leads. We needed a highly customisable system - and one that was easy for us to understand and use. The reporting system - whilst it work perfectly well, the interface using the = and <,> symbols is a not as intuitive as the rest of the system - slightly more mathematical maybe, than we would like. Talk to RSS and watch the help videos. We found the testimonial videos on the RSS website of how other businesses had set up and were using the system really helpful to assist us with how we would set up and use the system for our business. If you are new to CRM systems - or if you don't have an IT person in your business don't be daunted - RSS support team are really user friendly and on hand to have calls until you are able to go solo! Really Simple Systems is our "Oracle" - it is the place where all of the tacit knowledge in our business can be stored so when a team member leaves pertinent information does not leave with them. In its rawest form I would say that Really Simple Systems provides us with a giant address book /data base - one that the whole team can access and keep up to date - more than that it gives us the ability to categorise our contacts into different verticals and segments, to be able to retrieve segments of this data and to record all conversations with the contacts which can be viewed and reported on by our Client base or by the Exec making the entry. "Excellent CRM system as its name suggests!" I like the fact that it was easy to implement and you can quickly access the data you are looking for. We've been using it for over a year now and the whole team likes using it which is something we've not had with past CRMs. It really is simple to get up and running and I like the reports feature plus the ease of creating new records. I'm not very keen on the marketing module but I understand this is being upgraded. Once it is we will be giving it a try. If it's comparable to other mailers like Mailchimp we will use it because we will be able to have all the data on one platform rather than copying and pasting from multiple platforms. If you are a small to medium sized company and don't need something incredibly complex, I have no hesitation in recommending RSS. We operated for many years without a CRM and the confusion with lots of spreadsheets made it difficult to know what data was correct and up to date. By installing RSS we have a dedicated area where staff can access data that we know is correct. It's also allowed us to be more accurate with our reporting and task management. Plus we now record when clients have attended events which allow us to manage our client relationships a lot better. "Very usable system with marketing intergrated"
We have found Custom Fields work well with dropdown etc. The Reports work (once you have mastered the filters. Also PDF reports fit well, and raw data comes out as CSV so can use Crystal Reports. Price is reasonable with the marketing package, so we get CRM and marketing for the price we were paying for just marketing. Perhaps the thing I like compared with some others is the screens are clean, it would be even better if we could select the items we use. The Marketing is so clumsy, I know it is being re-written, but still, I sometimes send out short emails via a Word Document with mailmerge! Our biggest issue is occasional use, we are an organisation and the committee members might look at the CRM 2 or 3 times a year. To buy 10 more licenses is too expensive (and I would not really want to give the access). What we need is people to be able to just run a limited number of pre-created (by use) reports, so they totally up to date info on members and potentials. My biggest issue is adding Social Media details for all contacts and then have some way of recording if they read a Post, Blog, Tweet, look at picture and more. We monitor if they read an email but if 10% of communication are made by email and 90% on social media we cannot monitor engagement. To me CRM has always been about monitoring engagement and not just about have good mailing data. It might be me not knowing but I cannot see we can send people a form they complete online to add to our mailing list (sign-up). Having said all this I am Really Happy with Really Simple! Give yourself time to set it up and add custom fields, reports etc before you start. Go simple at the start, get the data in the right place and review/add fields/reports every 3 months without fail and in a year or so you will have a great system. "A "really simple system" to use"
We started using the RSS CRM nearly a year ago and it does what it says on the tin!! Having looked at a number of systems, we found the RSS one, loved the simplicity of it and arranged a demo. We are a small company a really did not need the large and complex features typical of your Dynamics or SalesForce systems and to have a high degree of control over how the system appears for our company is a real feature for us. The support we have received from the team at RSS has been excellent. They are highly response to any technical difficulties, even ones of our own making, on the rare occasion there is an issue!! We have even had the chance to help in the development of future features both at a user conference and a feedback form on their website. RSS very much want to hear what we as customers want from the CRM which certainly helps with our engagement. I do feel they could make better use of the dashboard and how much information it could show instead of having to generate reports instead, but this has been suggested and I believe is being looked at already. This would be a particularly good system for those with no CRM experience given the simplicity of it. As a new company we had no CRM at all and needed one. This system has given us that and in a very simple and user friendly format. The costumers service is very willing to help when we contract them and searching with the system is easy and very simple. I use this on a daily basis and it does wonders for our advertising company. We have gone back to the original program, so I guess the new updated version we are not a fan of. For any company this is a great system! It has made our company flow so much better and makes support for our sales reps easier. Having this system has made our jobs easier by having all contact information company wide visible for everyone to use. Its as simple as search and click. All info is there and mass emails and/or converting to and from other programs is a breeze. "Excellent product for new upstarts and small businesses"
You can set up an account with 2 users and just a few prospects for very cheap. As your prospect list grows and your sales team grows, you can upgrade a little at a time. This helps keep the application within the company budget. A little pricey once you have 500+ accounts. Since most accounts are prospects and not clients, we aren't receiving revenue for most of the accounts although we are paying for them. It's a great way to get access to an intuitive CRM tool that meets the needs of your business - no matter what stage of growth your business is in. "Great system for those Small Jobs"
The system is so similar to other big box systems, effective, easy and at a great price.You can easily work your way through the system without the hassle and confusion of others The webinars and support provided can't be beat! Only thing that I see that is missing is if your using it for a hotel sales purpose there isn't anything in there that allows you to have your meeting room space. If even there was something minimal included for meeting space it would totally ROCK! With the trace system and opportunities options it has helped us keep track of where we are and what we need to complete or finalize. "Very good, not as fancy but does the job"
The best part about this CRM is the integration with Microsoft Exchange - MailSync and Calendar are great. I dislike that there are limited other integrations available - I think a LinkedIn Sales Navigator integration would be great. It's a great CRM with features crucial for managing prospects and customers. The sales pipeline we use is spot on for us. "Really Simple is Really Simple"
Ease of use when using day to day and when designing my own pages and pick lists. As an external Sales Rep it has become a very valuable tool !!! Although the opportunity Section is great it could be improved if you could copy and paste the lines to produce quotes in an email or document. You have nothing to lose by trialing this. Increased sales due to being able to capture relevant information and list all opportunities ensuring they are assigned and followed up in a timely manner. The reporting function is also becoming a valued feature. This is a system for even those that do not like CRM's will LOVE. "Easy learning curve, excellent freemium model and great support." I was also very pleased to learn that a new quotation module and integration with more third-party vendors (via Zapier) is on the cards for 2017. All of that said, yes, the interface does look a little tired as of early 2016. However, I've seen the new version which should be launched by late summer 2016 and it's really impressive. Give it a try and watch some of their webinars to get the best out of it. As a micro business owner, I have to do everything from developing to sales and marketing, and I suspect like many geek-run businesses like mine, I love the first part and loathe the latter. Finally I hit upon RSS CRM and we were the perfect match. The freemium model is enough to get anyone new to CRM started quickly. I was looking for a CRM system that was easy to understand (I didn't want to have to go on a training course), logical and that I could easily adapt to the way I do business. I looked at several options and this was the best for me. Great value and I love the email sync function. Only that it can do much more than I use it for. Really, that's just a problem with me though. A great record of client interaction. Sales and easy record of emails. This system has the ongoing classes and the video library one can use to expand their knowledge if you miss the classes. The capabilities of the system I am finding is endless, and it has helped me better understand the landscape of the prospects and clients. When I had problems, I called Customer Service and could only leave a message since they are in the U.K./I am in the U.S. I received a call back the next day and they sent me an email with a report that I had questions on. That really surprised me they took the time to try to figure what I needed. On the site, they should post a time reference when one needs customer service. For example it it's 8:00am in the U.K. they should put, Hawaii Is ___am/pm, San Francisco__am/pm, New York___am/pm. There are m any systems out there, this one should definitely be in your top three that you are evaluating. The system sells itself. Tracking business tasks and documents. I love the fact that I am not taking up personal space in my own computer to hold all of the documents. The reports are incredibly helpful and versatile. They save me a lot of time. "I LOVE REALLY SIMPLE SYSTEMS!!!" I loved the fact that as a small business owner, I can have an account for two people for free! The features, reporting, and dashboard are unbelievable for a free CRM! I dislike the fact that I can't add a third person for free, but I'll take what I can get! Hands-down the best free web CRM! Use it! You will love it! I have built my consulting business CRM on this product. I'm seeing excellent reporting and analytics for my clients! Simple UI for looking up cases and contacts, search facility is very handy and everything is neatly presented. "Great experience with Really Simple Systems CRM." I like that you can use it for free for 2 users and get a chance to decide if you will like it before upgrading. After upgrading so we can add more accounts I like the mail sync option but would really like to see an option that would allow it to log your phone calls from a mobile device. The reporting dashboard is hard to navigate, it could be a little cleaner and more user friendly. It takes too much trial and error to get the reports you want. An auto sync with the task to calendar would be nice, Remembering to hit the sync tab every time is sometimes hard to do with multiple things going on. Using it for the basic CRM, using the task and activities is the most used part of it. Staying on top of follow ups and prospects. "It Really Is a "Really Simple System""
I love the ease of segmenting our contacts when we send out promotions using the Marketing Module. They have it all together with ease of importing data too! Their support is the best! I've always received red-carpet treatment when I've had a question. I've only just begun to see how powerful this system is, but it was name correctly - Really Simple! There's really nothing that I've discovered yet I've disliked. You get a whole lot of bang for your buck with this company. I did a lot of looking and comparing before deciding to go with them. Their customer service - a very key element with any of these companies - is stellar! The software fit our needs exactly! And the monthly fees are very competitively priced. Segmenting lists easily. I can now do it with lightening speed, and it's done correctly! Being able to link different sites to the company who runs them and adding all their emails to them has been the best things for us. There has been nothing we have disliked so far, however we have not upgraded to the marketing package just yet. We needed a way to store all the information of different companies and which sites they owned, and this system allows us to have all this in one easy format that everyone can login and understand. Thanks for your review of Really Simple Systems. Do email us on ask@reallysimplesystems.com so we can link this with your account. "RSS CRM has a great interface"
I studied quite a few web-based CRM offerings. I ended up settling on Really Simple Systems primarily because I liked the look of the interface, the layout of the screens, and the data presented. It fits in with the way I want to track my sales opportunities and isn't too cluttered. Ultimately, my needs really aren't that complex - I want to keep track of my prospecting activities, have reminders of my next follow-up with each prospective client, and be able to see at a glance what my total opportunities amount to. Very nicely done. So far I haven't found anything! Still a fairly new user, but I've liked what I've seen so far. I did send in a product enhancement suggestion to add pushed email reminders of tasks that are due. I got a nice reply from a support person who said that feature is coming, which was nice. The free account makes it very easy to give it a shot. Enter in a few accounts and see what you think! I think you'll like the interface. The key business problem I want to solve is to be reminded to follow up with customers that I've already quoted or had activity with. I don't want anyone to fall through the cracks. I expect the task reminders to help me solve that. "Very positive experience for what it's used for." Ease of customization. RSS is designed so that really anyone can customize the service to exactly what they need from their CRM system. The only annoying thing for us is that there is no ability to date and track notes. Instead, the notes field is just a large text box. While convenient at the time, it may be insufficient for contextual history purposes. I would recommend that potential clients compare cost, features, needs, and ease of administration and use before making a decision. We did, and chose RSS for our needs. The "big-name" guys out there were both overkill and overly-complex for what we needed. I would also note the email synchronization as a must-have feature, that RSS CRM handles very well. We use RSS CRM to track the sales process for a medical service my company provides. As a small group, we could not easily manage neither the sales process nor the admin. and maintenance of the system were it not as straightforward as RSS makes it. One chief benefit is the simple, roll-up type reporting that RSS allows. The basic reporting is robust enough to get what we need out of it without too much trouble. Thanks for the review James. You have some very good advice for anyone looking for a CRM system. With regards to the issue of not being able to track notes - have you tried using the Activities feature? Here you can add notes with the date as you like and the grid can be customised to meet your requirements. We are constantly looking at how we can improve the system without making it more complex so your comments are really helpful. "RSS is a customizable cloud-based service that works well for our business." The RSS staff is responsive and helpful in customizing our user interface. Not really a dislike, but we are in the USA and RSS is based in the UK. Sometimes, there is a lag in response when trying to tackle a support issue. Perhaps a US support branch or around the clock support? If you are looking for a robust CRM with all the bells and whistles, this is not it. If you are like us, where your sales reps do not have time to learn bulky software, this is a great solution that will prove itself very quickly once implemented. We have had a hard road getting our reps to invest time into a CRM for many years. We had tried many options, from out-of-the-box solutions to fully-customized systems build for us. None of those were ever embraced well by everyone. RSS is streamlined, straight forward and easy to use. This is the first CRM all of our reps have consistently used. Easy to use, regardless of computer skill level and our staff's computer skills are all over the map. Many thanks for posting a review. Your comments totally encapsulate our objectives - a simple CRM system that people actually use! We understand your frustration with our support hours and, as the company grows, this is something we will be addressing. "Run my small business on Really Simple - it has made my life so much easier "
It fits like a glove to my needs. Not too much...not too little. It allows customization when and where necessary without having to buy a massive and expensive system out of the gate. It grows with you. You don't have to buy more than you need and you can try it for free to make sure it is what you need. Hard to say. They have met all my expectations and more. Service is very good and pricing model is fair. I have never had an issue with the software and it does what I want so I really do not have any complaints. Compared to Salesforce which I used extensively in my past employment and found to very hard to use and ridiculously expensive and the testing of many programs for my business before selecting Really Simple, there is no better choice for my needs. Love this software and what it does for me. With RS I have taken back control of my business in one centralized and easy-to-use software program. Every piece of information I need is there for me. Everything I need to do is tasked and dated so I never miss something I need to do. I used to worry about missing important things and had to chase documents and customer contact information over multiple types of software. Everything I need is at my fingertips with RS. I really like how it organizes everything for me in one place. Our hotels use this system because using a larger system platform (sales pro) is financially not feasible. This system allows me to keep clients, companies, contacts, tasks all organized in one place, on a cloud based system. Convenient, low cost, and very easy to use. Limited customization. I don't have the freedom to organize as my business dictates. I can create a company but not sub categories (like if a company had a subsidiary). I would also like a way to enter traces like sales calls, prospecting, outside call. It would be very helpful to add that feature as the tasks option does not organize or classify the task. Many thanks for posting a review. Glad to hear the system is working well for you. We would be interested to hear more about the features you feel are missing from the CRM and invite you to mail us a description of what you would like. If we feel other customers would benefit from the development we will add this to our development schedule. In the meantime have you tried the Linked Accounts feature to address the issue you mention of subsidiary companies? See http://support.reallysimplesystems.com/linked-accounts/. "The name speaks for itself, it is Really Simple to use and benefit from this CRM solution"
Affordable and easy to use, a great combination! "We love Really Simple Systems"
The little time spent learning how to use it. We are keeping up with our client base so much easier. We can reach them with newsletters and marketing material easily. "User friendly, feature rich CRM but I don't see an Android App"
It was free for the version i was using, so price is a plus. It has some Xero integrations, which originally drew me to the product as my practice uses Xero for most clients. If I'm not mistaken there is no mobile integration with Android phones, no google chrome extension, no gmail extension. Since this is the ecosystem my business is in, it just makes it a poor fit. I do see an image on the website of a phone but when I search the google play store I do not see an app. Check integrations and mobile before committing any time. I transitioned because my main problem is tracking contacts across platforms and easily sharing details between email and the crm; it didn't work for that. Thanks for the feedback Megan. You are right, there is no App. Really Simple Systems CRM is fully optimised for mobile devices and works across tablets, smartphones and laptops alike. "Really Simple Systems, the Best CRM I have ever used"
it is great and easy to try out. Not letting anything slip through the cracks, it is easy to log, and be reminded of: tasks, communications, goals and opportunities and then - realize them! "Easy setup, easy to customize, could use a birthday reminders without having to add it to tasks." The ease of customization made it really easy to implement. I am a small business owner and was able to implement the system within one day. I dislike the fact that there is not a offline mobile app available for this. I run a lot of appointments in rural areas and a mobile version of RSS would be excellent. If looking for quick implementation and ease of use. I highly recommend. It was difficult maintain a steady contact with my book book of business. RSS simplified that. I was able to consolidate all my records and communication needs on one platform. I was just looking for a very simple CRM to manage leads for our business. RSS was free (at our level of contacts) and did exactly what we needed without unnecessary extras cluttering and confusing. It does not have a polished user-facing design. Sometimes the U/X can be a little counter intuitive so I had to contact support with a couple questions about functionality in the beginning. If you're looking to track leads and sales opportunities and don't have any complex needs, it's a very useful system. Keeping track of new leads and remembering to follow up, not letting things slip through the cracks. It has made me more effective in business development. Hi Evan, glad to hear RSS is working well for you. You'll be pleased to know that we are currently working on the UI/UX and will be rolling out the new look CRM in the coming months. Since I'm just starting a business, investing some serious money into a new CRM seemed silly, so I searched high and low for an alternative that offered an entry level platform with a robust suite of features and services. I first checked all the better known CRM providers...the ones you've probably heard about at nausea, but none of them had something that seemed to fit the bill. Once I found Really Simple Systems though I was quite surprised at the breadth of the initial free offering and new this was the right option for me. I took a look at the paid features and realized that this was actually a powerful platform, scalable, and reasonably priced. Quite frankly there hasn't been anything yet I've disliked. I'm not the savviest computer user out there so it took me a little while to understand how I could customize fields, but otherwise the system is quite intuitive. You can test run it using the basic version - it allows up to 100 clients and unlimited contacts. Everything is visible from a single page which really saves time and makes it easy to use. I now have a place where I can track prospects and clients, keep notes, track contacts and the sales process progress. It's allowed me to get organized and centralize my client management tasks in one single place, that I can access from the home or office since it's SaaS. The mobile app is easy to look at, intuitive, informative and easy to use. I like the sales pipeline and how easy it is to move a deal up to the next stage. It helps you keep individual deal information updated, and you always have a big picture snapshot that is accurate. I also like the fact that most lists and reports are filterable so you can get very specific. The Smart lists are exportable which is great for reporting. The Outlook add in works fairly well with base, but unfortunately the calendars do not synchronize. I understand that gmail and google calendar work seamlessly with it. However, if you're company is married to Outlook, like mine is, this becomes a big problem. We would like to have one place to enter appointments, and be able to track those appointments and their notes in Base. This is a big issue and in our case and seems to be outweighing the strengths of the mobile app. Another problem is that you cannot create a list of pending activities. The Smart Lists are great, but it turns out the "actionable" category means "overdue task". As a manager, I don't want to catch our team failing to complete tasks, I want to encourage them, and ask about upcoming activities. As a salesperson, I think a list of pending activities in chronological order would be extremely helpful. This list can be found on the dashboard, but the same data is not available on a Smart List, which would be sortable, exportable, etc. It is great for small business. If you're on Gmail - this CRM is perfect! You should be using it to manage your sales team and gather all prospecting and client data that your company should have. You will be able to determine your typical sales cycles, broadly, and by user. You will have pipeline numbers that you can compare to goals and actual. We have a good vision of the business. We can forecast. We can see broad company-wide progress, and drill down to the details of each deal very easily. Its free for small businesses like mine! The system is easy to use and is set up like some of the major systems like Blackboard for ease of use. RSS provides a user friendly system to maintain data, documents and provides the ability to schedule tasks and activities on your prospects and opportunities. Prices are extremely reasonable and the simplicity of the system makes it easy for anyone to use. Tasks are set up on the account level. They should also be set up on the contact level, providing easy access to contact phone numbers and email addresses. I would definitely suggest this system for companies that currently do not have a current CRM system in place. There are many features available in the advanced subscription that our company is not currently utilizing that can enable companies to direct market from the system. Primary use is for following up on prospects and opportunities and providing a centralized system for other company personnel to obtain account information. We use it to track potential new investors for our startup biz. It beats an Excel spreadsheet, and it certainly beats relying on our memory! If you want make your CRM life easier...Really Simple Systems is the way to go. Situational awareness by my entire company with a public view. "Been very postive so far"
It is easy to use and provides good source of info to be able to connect and keep contacting clients. keeping and building client contact list has been always a challenge. Finding ways to make such process easy and comfortable is always plus. "RSS - The only CRM you'll Need- User Friendly, Fast and Easy Support and Robust in Features "
Theres many things I like about this software.. for me in my position within my company, it is used to manage my partner relationships. Anything from Note tracking, document storage, task management.. and contact management. There are so many other features of this software that I don't use. RSS for the last 2 years of using has constantly upgraded verisions, with each time getting better. Relationship management, historical data on relationships, keeping data all in one place. Benefits are everything is in one system, my company never had this referral partner relationship tracking and management previously. Hopefully one day the information will be exportable to our internal program we have. I'm new to sales. So I needed to find a software that was easy to understand and easy to use. Nothing, its all great! I don't have any complaints about this software that is why I continue to use it for years now. I needed to understand my numbers better. How many proposals am I sending out and how many contracts am I getting. RSS help me understand that so easy. Many CRM solutions are way too complicated for small businesses and have too many unnecessary features. Really Simple Systems trims the fat and gets to the point of what you need. This saves you the headache and time. Now if only client info/data can be entered without lifting a finger! "It really is simple! But really powerful as well. " I like the easy customization of the data and the ability to monitor just what I need without spending my day managing the system rather than working on sales. Some of the instructions for certain functions are hard to find. Try it. It's free to try. You will see it is easy to use and easy to learn. Organizing my sales leads, potential clients and customers. A very flexible, powerful tool whose customization has allowed us to really tailor it to our needs. The support and help provided by the RSS team is fantastic in helping us really get the most we can out of the product. Some of the UI/UX isn't intuitive or easy, some reporting features can be a little clunky. Use if you have a clear understanding of what metrics, pipeline, projects, etc you need to track, RSS is a great system. If you have amorphous goals or metrics, or highly qualitative activities, it may not be a great fit for you. We're using RSS to manage our pipeline and track opportunities as they emerge, close, and are implemented. RSS has allowed us to track the entire process in one system, and report on it from a single POV. Very helpful in managing client activity, recording history and storing documents. Is very comprehensive and easy to work with. having all of my client info easily accessible. RSS is very user friendly and the customization that is available has been extremely helpful. I look forward to taking it to the next level as we expand our company. Customize it to your needs ! It has customization features that are incredible. We used the free version and are switching to the paid version shortly. .
very mobile friendly and customer service gets back to you very quickly. a little slow sometimes with loading pages with a lot of data. easy for our guys to access their accounts and contacts from the road. Learning about Really Simple Systems? * We monitor all Really Simple Systems reviews to prevent fraudulent reviews and keep review quality high. We do not post reviews by company employees or direct competitors. Validated reviews require the user to submit a screenshot of the product containing their user ID, in order to verify a user is an actual user of the product. Hi there! Are you looking to implement a solution like Really Simple?